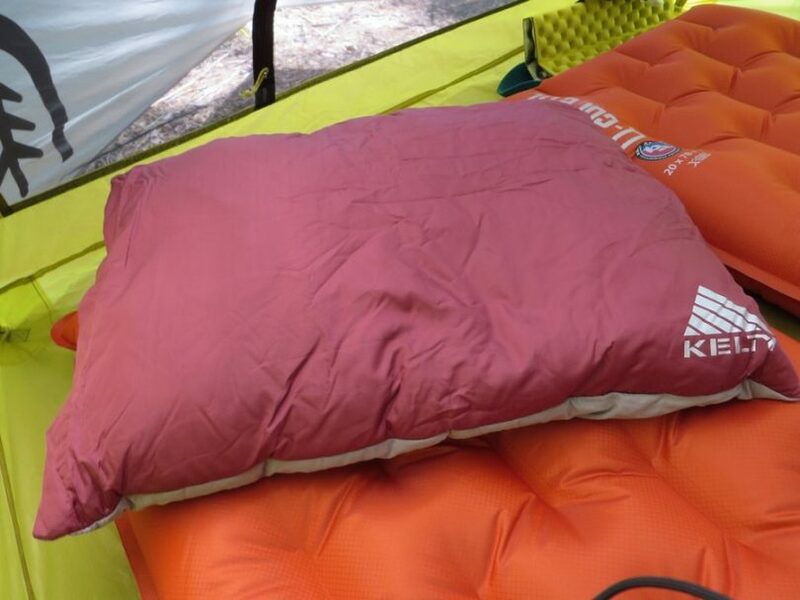 If you want to sleep in comfort while you are on a camping excursion, you will definitely want to invest in the best camping pillow you can buy. Let’s face it, there are some people who can sleep on any surface in just about any position and wake up in the morning feeling refreshed, comfortable, and ready for the day ahead, but the greater majority of us require minor creature comforts, like the right mattress, sleeping bag, and/or a comfortable camping pillow to ensure we feel our best when we awake in the morning. 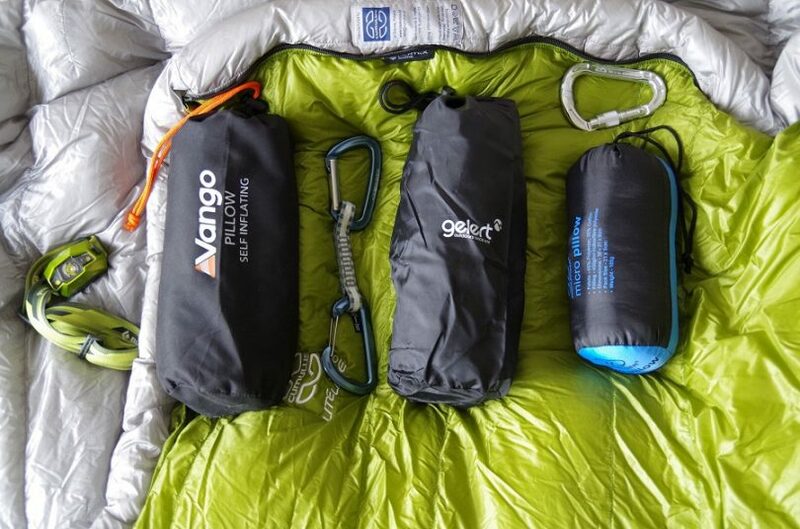 To help you with more options, read our article on how to choose the best backpacking sleeping bags for campers. There’s nothing worse than achy shoulders, a sore neck, and the terrible tense headache that sometimes accompanies the lack of a good pillow that would otherwise provide you with the support and comfort you need, not just to sleep well, but to wake up feeling great and pain free the next day. Here we will explore your options when it comes to camping pillows as well as things to consider as you shop. 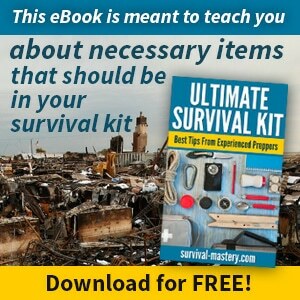 In addition, see our piece on camping checklist and essentials to ensure that you have everything you need. You have several choices when it comes the time to choose a camping pillow. The different styles are available in three categories: inflatable, compressible, and hybrid. These are firm and light as they are filled with air, so it goes without saying that the more air the units contain the firmer the pillows become. 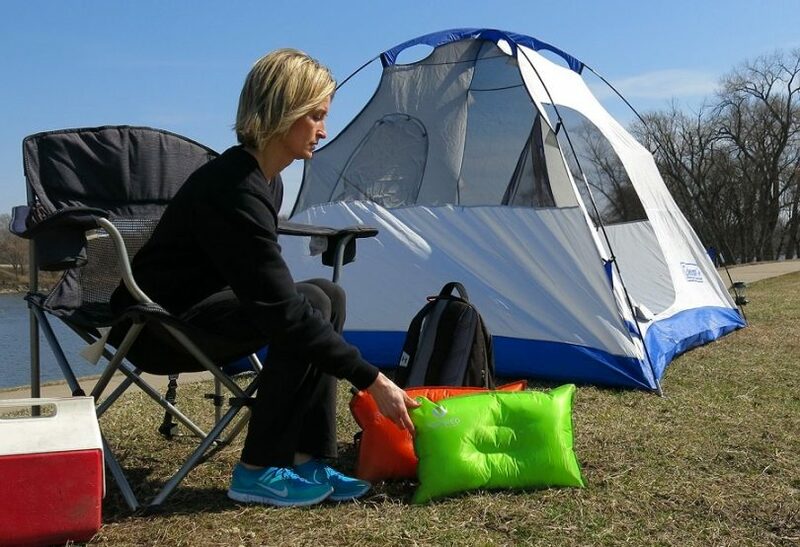 The camper simply pulls the flat pillow out of its sack and blows it up to prepare it for use. Thus, the pillow is not instantly ready for use, but it requires far less storage space when it is not inflated. If too firm, the pillow is adjustable. These selections are soft, comfortable, and very much like the pillows you would have at home in the bedroom. 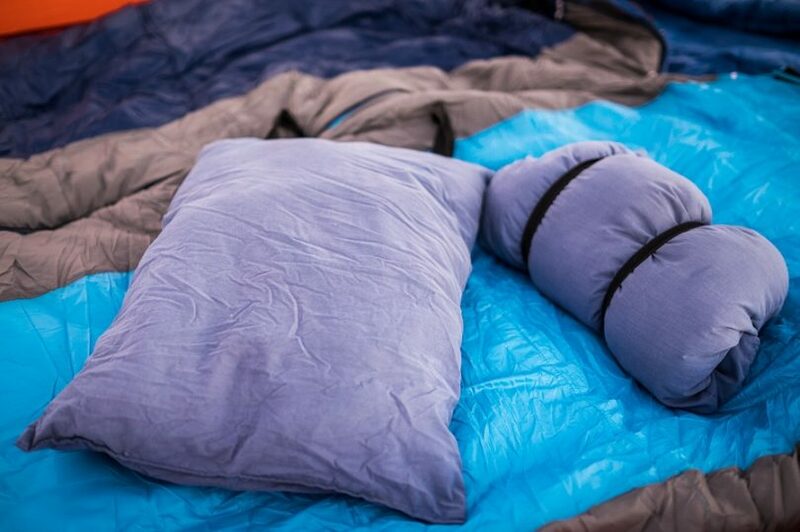 The material inside these camping pillows compresses and includes things like synthetic fibers, different varieties of foam material, and down feathers. 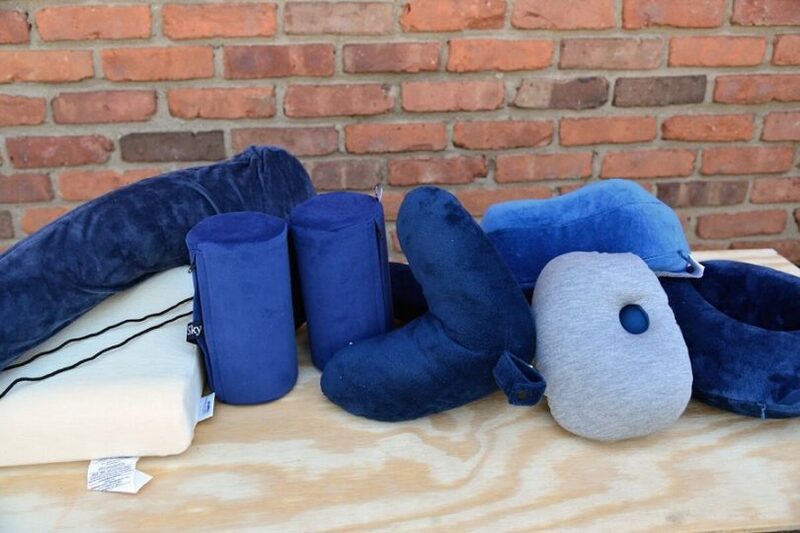 These pillows bring the features of both pillows into one unit. The bottom of the pillow inflates and the upper part of the pillow is compressed when in storage. These pillows make a good compromise between both the inflatable and compressed units. This is a good pillow for the camper needing maximized storage space but who wants the comfort compressed-style camping pillow comfort. The attributes of a camping pillow that will affect the level of comfort you receive during its use include the pillow’s overall size, how firm it is, and the materials the pillow is made of as well as the type of pillow you buy. You will find the compressible pillows the most comfortable as they are most like those in the home, followed by the hybrid pillows, which are then followed by the inflatable options. If you are looking for a no fuss pillow, the compressed versions are those that are ready to use immediately. The hybrids only require some of the pillow is inflated, and the inflated pillows take the longest to prepare. The degree of firmness a pillow offers will vary, and even with compressed pillows filled with down, the support can diminish through use. The benefit of the inflatable and hybrid pillows ensures you can re-inflate the units to increase the firmness levels. The weight of the pillows you buy will play a role in the amount of storage space you need in your backpack or packing area. 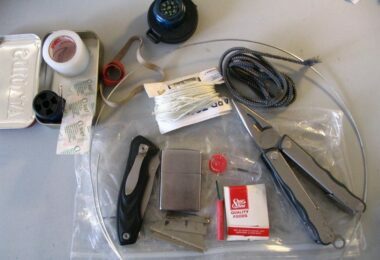 It will also play a role in the weight of your gear if you are backpacking. The lightest pillows are inflatable because they are deflated when you pack them, followed by the hybrids, and the heaviest pillows are the compressed options. 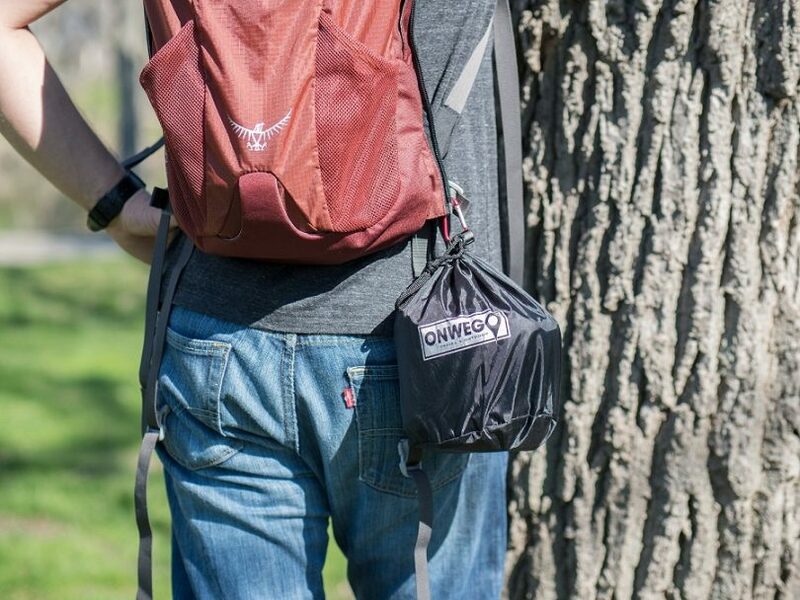 The company behind the ONWEGO pillow forges forward with the mission of creating outdoor and travel gear crafted from the best materials. 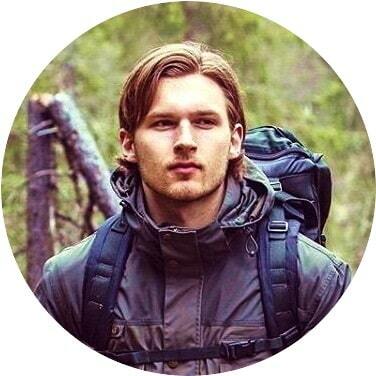 This way, such gear only enhances the outdoor adventures users; experience. The ONWEGO Inflatable Pillow is one that proves ideal in a variety of travel situations. 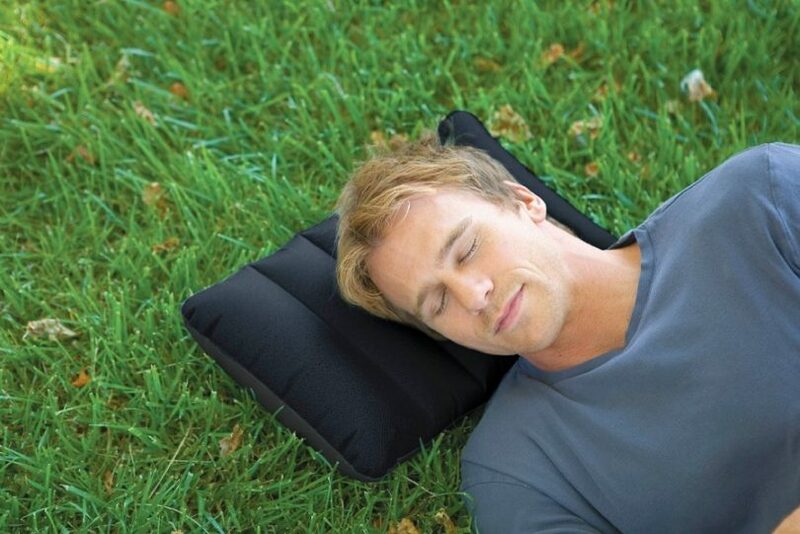 The pillow is perfect for outdoor relaxation, camping excursions, car travel, beachside relaxation, or plane travel. The price is affordable too as it is between $21.99 and $31.99. 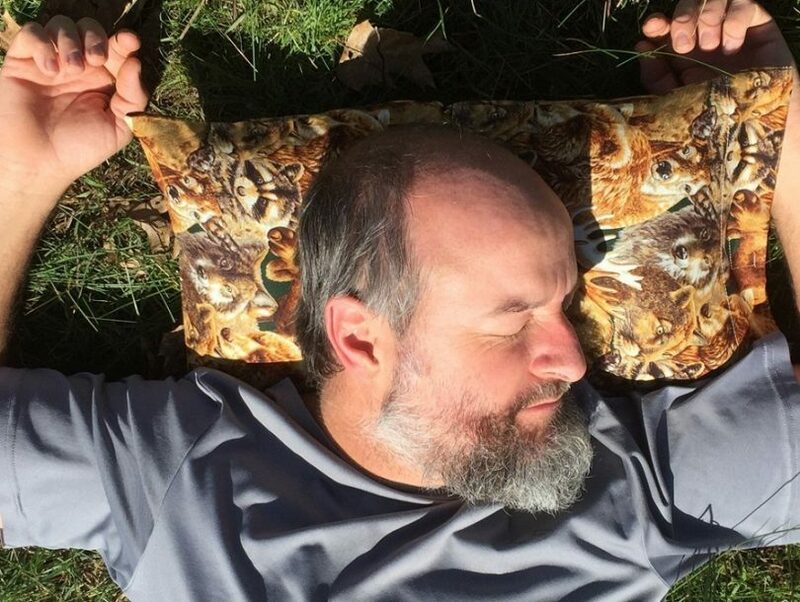 The ONWEGO pillow is available in several color variants as well, including camouflage, black, blue, yellow, orange, or pink, so personalizing your purchase is a breeze. The pillow has a foam material inside to add to its inflated comfort. The design is contoured for a better fit and so it can provide necessary neck and head support. To inflate it, you just have to expose the foam to air by releasing the safety-locking valve. The inflation process will expand the pillow by about 50 percent its capacity. You can increase the pillow’s firmness by blowing more air into it, or if you prefer, you can release air to deflate it a bit. The backside of the pillow is made of a slip resistant material so the pillow offers secure support of the head and neck. The Terra Friendly Inflatable Pillow is a product made in the USA. The pillow is perfect for use in the car, on a plane, boating, festivals, hiking, or camping. This product comes in 9 colors/patterns all wearing interesting and appealing names. The pillowcase is made out of 100% cotton and the pillow is crafted of synthetic foam materials. In full size, the pillow measures 20 inches x 12 inches. The Terra Friendly pillow weighs 0.6 pounds and with the pillowcase on, it weighs about 0.8 pounds. Also it measures 5.5 x 5.5 x 6.5 inches when deflated and packed. However, keep in mind that this product is not intended for prolonged (months) use or expose to extreme weather conditions, and this unit is for use in conditions of less than 100 degrees Fahrenheit. The pillow will require some expanding the first use and the first few uses after that – once expanded, it will inflate with far greater ease via its self-inflating functions. The pillow is priced between $14.88 and 27.77 depending on where you buy. 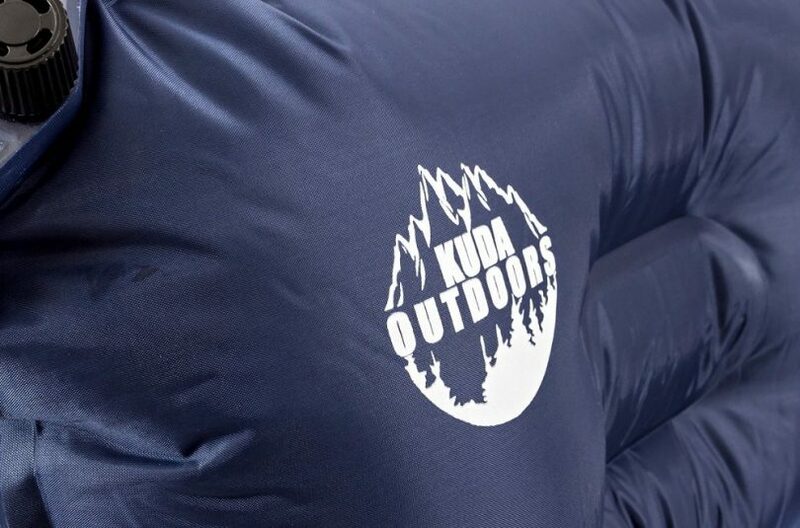 The Kuda Outdoors Inflatable Pillow is an ideal selection for camping excursions. The product is sold with a lifetime guarantee, so you can buy in confidence. The price is between $17.99 and $29.99 and you can get the pillow in blue or bright orange. The unit has a special indentation sewn right into the body of the pillow for more comfort when in use. Even more, it self inflates and its firmness is adjustable. This compressible pillow is among the best camping pillows for sale. 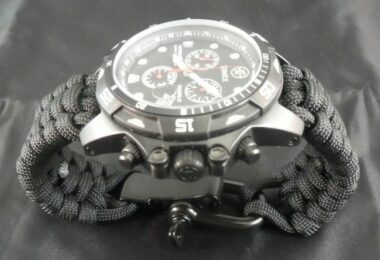 It is priced affordably between $11.50 and $87.73 depending on where you buy and the options you choose. If you care about design, you can find it in 5 outstanding colors including denim, poppy, night sky, indigo dot, and mosaic, and it is a great choice for campers and travelers alike. The compressible pillow packs away small and becomes large for maximum comfort when in use. The exterior is made of brushed polyester and ultra soft urethane foam filling is inside the pillow itself. The pillow does not come with a stuff sack, but it can be stuffed into itself for space saving features. The Wenzel Camp Pillow is decently priced at around $13.47. 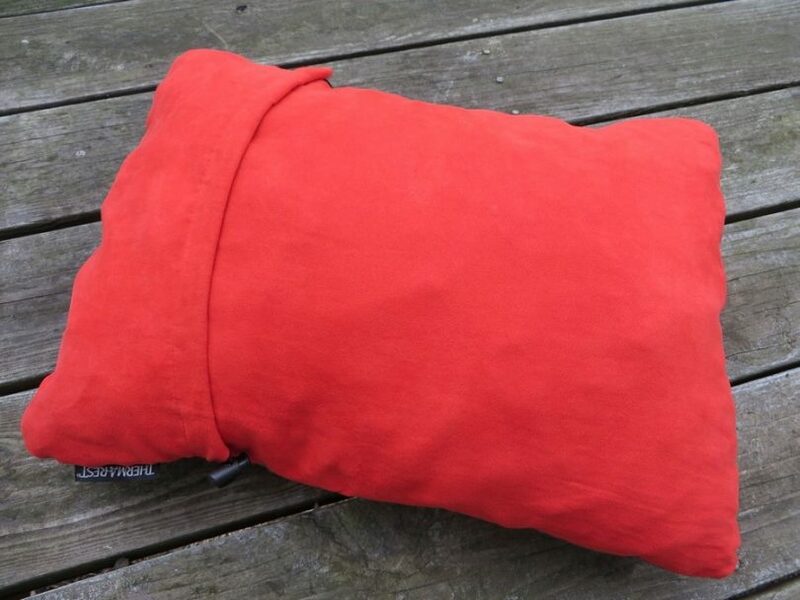 It is an exceptional pillow for travel or camping excursions as it comes with in a large size and a flannel top to provide extra soft comfort for the user. When the pillow is stuffed in its sack it measures about 10 x 6 inches, but when fully inflated it measures 12 x 20 inches. The multicolor design is attractive, and the pillow is ultra light weighing in at about 0.6 pounds. Like this great product? Then you can check its price here. 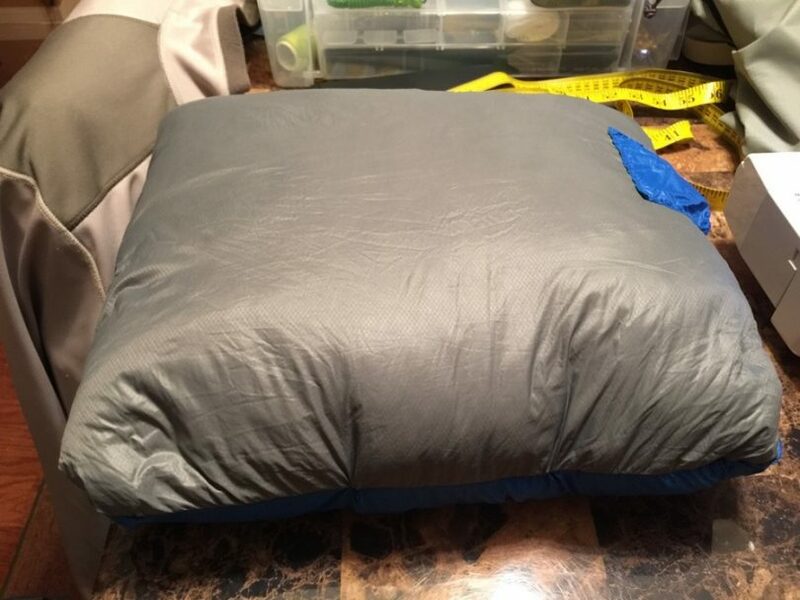 There are at least two Stansports Outdoor Pillows worthy of consideration when you are seeking high quality camping pillows. First, the Stansport Outdoor Pillow, model number 508, measures 14 x 18 inches. The unit is priced between $9.30 and $13.99 and features an outer shell that is soft and made of a soft flannel material. 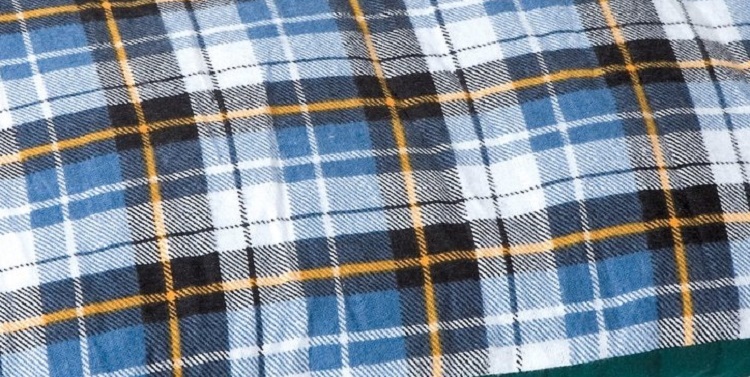 The design is an attractive plaid design. You can wash the Stansport Outdoor Pillow in the washing machine and it has polyester hollow fiberfill inside to make it soft and the material is chemical free. Among the outdoor pillows the company makes, there is also the Stansport Inflatable Pillow priced around $12.99. This unit makes a nice selection for those who want to forego the fiberfill pillow and who want something a bit more lightweight. The unit comes in different colors, and measures about 20 x 12.5 x 5 inches. The pillow is sold with a mesh bag for ease of transport. The NatureHike Portable Pillow comes in three cool colors including light blue, lime green, and a peachy orange color. The rectangular shaped pillow is priced around $10.00 and is crafted out of 80% polyester material and 20% TPU coating. It weighs about 78 grams in all and is sized around 420 x 290 x 110mm. The pillow is inflatable and must be blown up to use it. These pillows are an excellent, and inexpensive choice for travel, camping, car travel, and more. The inflatable pillow designed by Inspired Equipment is compressible for ease of transport. The pillow is exceptional for hikers, long distance cyclists, the beach, and camping pursuits and is priced between $19.95 and $39.95. Each pillow is about 6 inches wide by 7 inches high when compressed and it weighs 10 ounces when flattened. When searching for the best camping pillows on the market, you will need to know what you want out of such a product. It might serve you well to jot down some of the features you desire while you are comparing what’s available. Comfort is subjective for each individual, so you will have to take in additional factors into consideration. Some of the many things you will want to take into consideration as you shop, are size, style, weight, fabric and materials, and whether you prefer compressible, inflatable or a reasonably designed and affordable hybrid. Of course, affordability is also a factor to consider, but it should not be the sole factor you use to determine which pillow to buy. 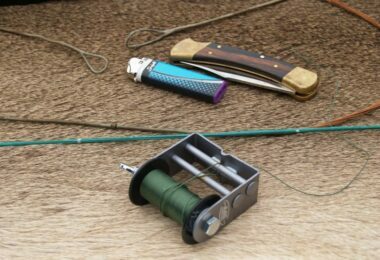 You want a product that will also be with you for the long run and will serve you well for the immediate and future camping trips to come. When shopping, take your time to compare products carefully so you can ensure your comfort when on your next camping adventure. Before your next trip, check out our article on top essential camping gear to make your stay comfortable.